The Philadelphia Flyers are among the many around the world offering condolences after 15 people died in a Canada crash involving a bus carrying a junior hockey team and a truck. The driver of a semi-trailer that collided with a bus in an April crash that killed 16 people involved with a Canadian youth hockey team was arrested on criminal charges Friday, authorities said. 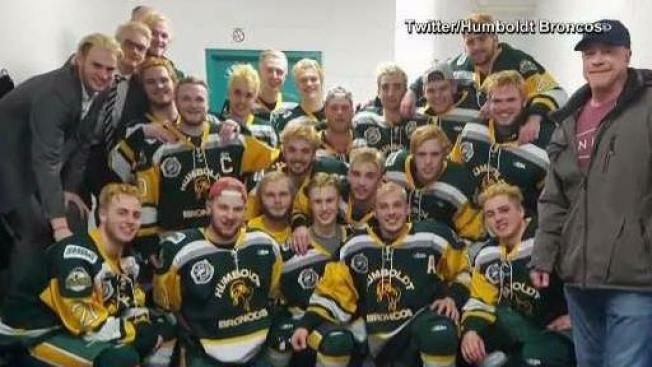 Fifteen people died after a bus carrying a junior hockey team collided with a truck.